When residents and businesses need to contact the provider of the #1 trash pickup Sherman has to offer they call Oak Ridge Waste Systems. 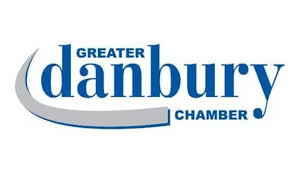 We provide quality dumpster rentals, recycling, trash pickup, and all waste services in Sherman, Connecticut. 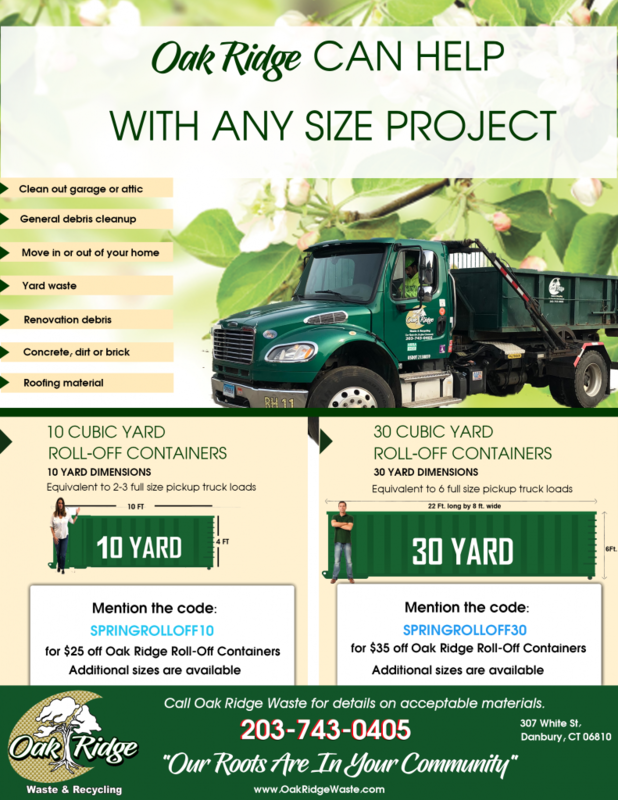 Oak Ridge Waste Systems has been in the waste and recycling business for over fifty years. Oak Ridge Waste provides a dumpster rental, recycling, and waste service to meet the needs in Sherman, Connecticut. Our dumpster rental comes with options of sizes, rates, and days of service. Our qualified employees can bring out your choice of dumpster the same day if needed, and they will carefully place the dumpster in the location of your choice. Waste Bros. has a dumpster size to fit any project and need. Sherman, Connecticut was named as the “Best Small town in Connecticut” by Connecticut Magazine three times. Sherman, Connecticut is a small town with a population of 3,581. The town was named after Roger Sherman, which is New Haven’s founding father. The town was formed in 1802. Though the town is small, the Squantz Pond State Park is located in the town. The Appalachian Trail also runs through the northern part of the town. People like to come to Sherman to visit the Candlewood Lake. Candlewood Lake is the largest lake in the state of Connecticut. The lake is actually an artificial lake. The Candlewood Mountain runs along the lake, which makes for a magical view. Graham Masterton, the famous writer who writes under the name of “Thomas Luke” wrote a novel that is based on the town of Sherman. The novel is “The Hell Candidate”. He also wrote the “Spirit”, which was a ghost story set in Sherman too. Rob Zombie, the musician and director, currently lives in Sherman. Sherman, Connecticut is a charming little town that has beautiful scenery, historic architecture, and the friendliest residents. Oak Ridge Waste Systems has been the waste system provider for Sherman, Connecticut for over fifty years. Our years of experience allows us to be the leading dumpster rental and waste system provider for Sherman. Our company believes in family values, honesty, and integrity. Oak Ridge Waste Systems can provide our customer with the best waste and recycling services along with rates that our customers can afford. If you are interested in a dumpster rental, trash service or any of our other services, then contact us today. Winters Bros. Waste Systems received a call from a Sherman resident recently. A Sherman motorcycle enthusiast had a separate garage expansions. He was needing a big Sherman roll off dumpster to hold all the construction and demolition refuse. His contractor was going to hire another company for a dumpster, but because this customer had used our services in the past he told his contractor that he would take care of it by calling Winters Bros. Waste Systems. We knew we would have just the right size of container to meet his needs. The dumpster was delivered for the homeowner and the construction continued on. Once the garage expansions were completed the homeowner contacted us and we returned to his home to retrieve the dumpster. The customer was so proud of his garage expansions that he asked the guys to take a look at it and he showed them his pride collections of motorcycles that ranged from antique to present bikes. The customer thanked us and providing him with an affordable roll off dumpster Sherman bike lovers can depend upon. Now the motorcycle enthusiast has a space that can hold all of his sweet bikes, and it didn’t cost him a fortune. He told his contractor that he should use Winters Bros. Waste Services for all his jobs, because we provide affordable roll off dumpsters in Sherman. The contractor said he was impressed that Winters Bros. Waste Systems had the container delivered quickly, then didn’t waste any time picking it up. He said he would be sure to use our services in the future. Winters Bros. Waste Systems received a call from a Sherman hairdresser. She explained that she was a widow, and she needed to move on, so she decided to finally throw out her husband’s massive collection of old newspapers. She had put this off for quite some time, but she knew the only way to move forward would be this first step. She had kept and preserved the important keepsakes, and now with the help of the best recycling and trash removal Sherman could offer she had a better handle on how to move forward. Winters Bros. Waste Systems understood her circumstance, and let her know that our trash removal team would assist her with her husband’s old newspaper collection. We wanted to make this process for her as easy as possible. All she had to do was set the stacks on the curb, and our team took care of the rest. Our team is very considerate, especially in these type of circumstances. Once all the newspapers were removed we told her that if there was anything else we could do for her to just give us a call. We mentioned our roll-off dumpster rental services, and she said that she might just have to take us up on that one. Winter Bros. Waste Systems is the trash removal Sherman customers can count on for all their recycling and trash removal services. Sherman, CT’s latest from Winters Bros. This is where you can find the latest on Winters Bros projects involving trash removal in Sherman, CT.